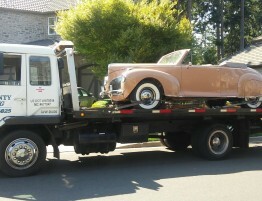 Yes, summer is here, and it’s not too late for you to get your vehicle ready to endure the rest of your summer driving. It is just as important to get your car ready for summer as it is for winter. Driving in the heat of summer makes various demands on your car, truck, van or SUV, so it makes sense to have your vehicle prepped and ready to take on summer. The primary threat to your vehicle in the summer months is obviously heat, but dust can also be a threat to your vehicle. With the minimal amount of moisture that we receive in the summer, dust, pollen and other small particulates are floating around in great numbers. Air filters that become laden with dust will greatly affect your vehicle’s power and mpg. Because of this it is very important to keep an eye on your vehicle’s air filter(s). For those of you out there with cold air intake systems there are air filter socks/sleeves that you can put over your open air filter. Many shops will inspect your factory air filter when you are in for an oil change. There are a few other things you should address in order to keep your vehicle going strong this summer. A summer maintenance checklist is a very good way to keep track of your vehicle’s preparedness for summer or warm weather driving. A checklist is also good to refer to before heading out on a road trip. -Oil and Oil Filter Changes: Keeping up to date on your oil and filter changes will increase your vehicle’s longevity and keep its maximum performance going strong. In all of our vehicles(diesel and gas engines) we utilize Lucas Oil brand engine oil stabilizer which will maximize your engine oil’s performance without affecting the vehicle’s warranty. -Battery and Charging System: Hot and cold temperatures have quite an impact on the performance of am automotive battery. A battery that is not in excellent condition can prematurely wear out charging system components. The same goes for an alternator that is not charging properly, this can cause even a new battery to prematurely fail. Ask your service technician to check your battery and charging system at every oil change. -Brakes and Brake System: Maintaining you vehicle’s brake system is of the utmost importance. Brake system failures can cause not only serious injuries but in some cases loss of life. Losing your brakes while driving down a steep mountain road unfortunately can and does happen. You may have seen the long gravel or sand pits for runaway trucks on various mountain passes. All too often people will overload their vehicle’s brakes with a trailer that doesn’t have its own brakes adjusted properly or doesn’t have brakes at all. With or without a trailer you should never “ride the brakes” when driving down a steep hill. It is best to downshift and let the engine do the work. Refer to your vehicle’s owners manual for proper brake maintenance schedule. Make sure to keep to that schedule for your safety and the safety of others on the road with you. -Cooling System: Your vehicle’s coolant and cooling system is what keeps your engine operating at the proper temperature. 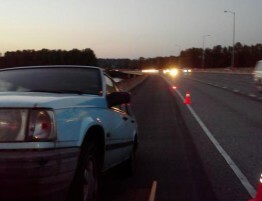 A failure in the cooling system will cause your vehicle to overheat leaving you stuck somewhere waiting for a tow truck to arrive then having to pay for repairs. If you notice that your vehicle is running a bit warmer than normal it may be time to have the system checked. Regular maintenance and recommended coolant flushes will help to keep your cooling system working properly. If you notice that your vehicle’s temp is warmer than usual and still climbing safely pull off the road to let it cool. 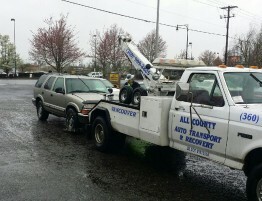 I have had to tow more than a few cars where the owners tried to get home even though their vehicle was running hot. Doing this will cause much more damage to your vehicle’s engine than safely pulling off the road as soon as you see the warning light or notice the temp gauge higher than it should be. -Emergency Roadside Kit: Every vehicle should have an emergency kit that is specific for you, your vehicle and the area where you drive. There are many options for emergency kits on the market so take the time to choose the right one for you. It is also a good idea to replace items as needed since some items have expiration dates. Below is a link to Consumer Reports.Org that has a very detailed list of the various items you should have in your vehicle’s emergency roadside kit. There are also many optional items listed as well that may come in handy when driving in different situations. -Tires: Keeping a close check on your tire’s tread wear and air pressure is important year round. Your tires are what connects you and your vehicle to the road. If any traction is lost there is a potential for an accident. Tires that do not have the proper air pressure will affect your vehicle’s handling and fuel consumption. 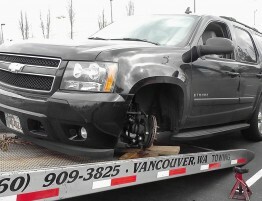 Blowouts can also be caused by tires that are not inflated properly and can also cause an accident. Tire siping is recommended in some cases and will help keep your tires cool as well as giving your vehicle additional traction on slick driving surfaces. Ask your service technician about tire siping next time you get tires and see if it is right for you. -Spare Tire: The spare tire is often under inflated even when they are fairly new. When having your other tires checked ask the technician to check your spare as well. Finding out that your spare tire is nearly flat 50 miles outside of nowhere can be very frustrating. My tow company gets a number of calls to come out and air up a spare tire, and on occasion tow the vehicle if there isn’t a spare tire or the spare won’t hold air. For example the new Chevy Cruz does not come with a factory spare tire, it is an optional item. So before heading off on your road trip, make sure that you have a properly inflated spare tire. 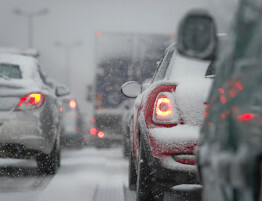 -Transmission: Your vehicle’s transmission is one of the most overlooked items when it comes to automotive maintenance. The transmission is commonly not kept up on regular scheduled maintenance since it seems to work fine, but when the transmission doesn’t seem to work fine anymore its not going to be fixed by the long overdue maintenance. Repairing transmissions is costly and can be avoided with proper scheduled service. 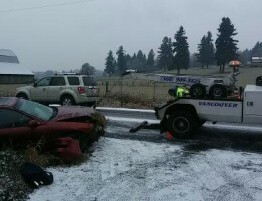 This is especially important if you regularly haul or tow with your vehicle. With regular scheduled maintenance not only will your transmission last longer, your transmission will continue to operate properly giving you a smooth ride. 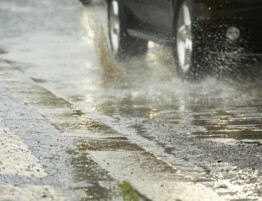 -Windshield Wipers: Windshield wipers should be changed at least once a year. Ours are changed twice a year, at the beginning of fall and the beginning of spring. Some wiper blades do not last as long as others as you may have found out. Over the years we have used expensive ones and cheap ones, but 2 years ago we found wiper blades from Rain X that do not have a metal frame and those are all we use now. Many auto parts store employees will install the blades for you which is nice if you do not know how to do it. Make sure to also check your wiper fluid as well, especially if you tend to use it often. -Air Conditioning System: Your vehicle’s air conditioning system isn’t going to make your car last longer if it’s properly maintained but it will make it much more comfortable on those hot days in traffic. Many shops will have A/C specials at the beginning of summer which is a good time to have the system checked and refilled if needed. There are also refill kits that you can purchase at your local auto parts store if you want to refill the A/C system yourself and save some money. Just make sure that being empty is the only reason it is not working and carefully read ALL of the instructions. There are multiple fittings and types of refrigerant so be sure to choose the right kit for your vehicle. Everyone should know that running the A/C makes your vehicle’s engine work a little harder than normal. So if its extremely hot and you are running the A/C while working your vehicle keep an eye on the temperature so you do not risk overheating. 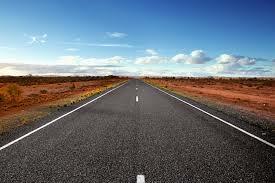 Summer is the time for taking memorable road trips with family and friends. We are pretty sure you do not want one of those memories to be waiting for a tow truck to take you to a shop where you spend a good portion of your vacation time and money on repairs. So take the time to have your vehicle maintained, checked and prepped for summer driving by a qualified technician. All of the above mentioned areas of service should be checked throughout the year as well. Winter road trips can be just as fun if you are like myself and enjoy winter storms, snow and ice. Proper scheduled maintenance will ensure that you have a reliable and safe vehicle. 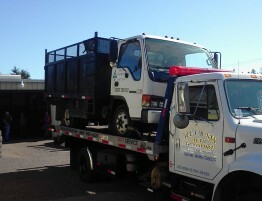 You may also catch a small problem before it becomes a large expense and avoid needing to call one of our tow trucks. All of us at All County Auto Towing in Vancouver, WA hope that you, your family and your friends have an awesome summer. Please Drive Safe and Enjoy the Road.